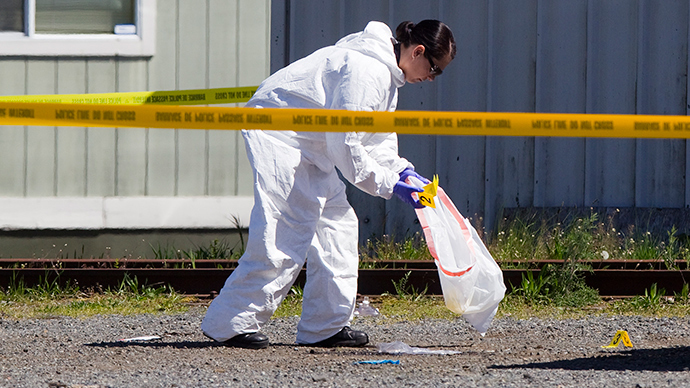 Problems surrounding the government’s privatization of state forensic services coupled with drastic budget cuts for forensic analysis could lead to serious miscarriages of justice and the collapse of criminal trials, a government watchdog warns. Over the past two years, government spending on expensive forensic examinations has been slashed by over £20m. Experts warn the likelihood of potential miscarriages of justice have increased dramatically. Britain’s state-run Forensic Science Service (FSS) closed in 2012, following a slew of blunders and yearly losses amounting to millions. Forensic duties were then transferred to the police and private firms. Concerns regarding the efficacy and quality of forensic examinations for criminal trials in Britain prompted the National Audit Office (NAO) to conduct research. The study was commissioned by the House of Commons Science and Technology Select Committee (CSTSC), which has long-criticized the government for scrapping the FSS without considering the implications of passing work to private firms. Following the release of the NAO's scathing report, the CSTSC warned the government was sacrificing forensic science services the state depends on to keep costs low. The research revealed Britain’s private forensics market is dominated by three firms, who carry out 90 percent of the work in the sector. The market is estimated to be worth between £60m and £81m a year. The spending watchdog’s study also found reduced government budgets for private forensic services could prompt a powerful player in the market to withdraw, and spark a nationwide crisis in the process. “If suppliers did pull out of the market this could present a risk of service interruption, and lack of capacity could hold up criminal cases or cause them to collapse,” the report said. The size of the state’s private forensics market has decreased in recent times, while police forces’ in-house laboratory forensic work has ballooned. According to the NAO, only one UK police force outsources all of its forensic analysis work. The majority opt to conduct forensic analysis in their own laboratories. The NAO’s study indicates police are adapting and downsizing their requests for forensic analysis work in the face of stringent budget cuts. Professor Peter Gill, a leading geneticist, told the Independent that police forces’ transition to in-house DNA analysis would reap “disastrous” results. He stressed scientists could face increased pressure to produce results that would ensure convictions were secured. “If you’re not protected from that, then the more vulnerable forensic scientists are going to report cases wrongly,” he said. Gill said he was convinced such miscarriages of justice were already occurring. “You can’t put forensic science solely in police hands. It would be disastrous,” he warned. Reflecting on the NAO’s findings, Andrew Miller, chairman of the Science Select Committee, said the Home Office had not created an adequate strategy for the state’s forensic analysis needs. Despite the fact police forces are conducting a proportion of the necessary work in in-house labs, Miller warned the private forensics market is struggling and hasn’t taken up the remaining slack. “Worryingly, the NAO warn that this lack of capacity could put criminal cases at risk of collapsing,” he said. A Home Office spokesperson said police spending on suppliers of private forensic analysis had decreased as a result of falling crime levels, reduced costs resulting from more efficient procedures, and increased market competition. “It is for police and crime commissioners and chief constables to decide how to spend their budgets," the spokesperson said.